Marc shares some of the events that happened on this day in history, including a slave uprising in Brazil, the shooting Fyodor Trepov, the Governor of Saint Petersburg, by the Russian revolutionary Vera Zasulich, and the shooting of Ozie Powell, a Scottsboro boy, the day after he is sentences to 75 years. 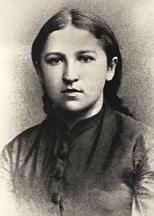 1878 – The revolutionary Vera Zasulich shoots at Fyodor Trepov, the Governor of Saint Petersburg. 1978 – Soviet satellite Cosmos 954, with a nuclear reactor on board, burns up in Earth’s atmosphere, scattering radioactive debris over Canada’s Northwest Territories. Only 1% is recovered.1993 – Turkish journalist and writer Uğur Mumcu is assassinated by a car bomb in Ankara.1996 – Polish Prime Minister Józef Oleksy resigns amid charges that he spied for Moscow.2003 – The United States Department of Homeland Security officially begins operation.2011 – At least 35 died and 180 injured in a bombing at Moscow’s Domodedovo airport.